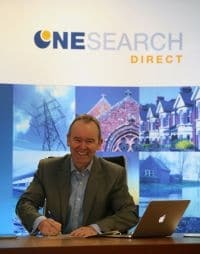 OneSearch Direct, the largest local authority data search company in the UK, has today officially launched ‘Assured’ its new complete conveyancing and protection solution. 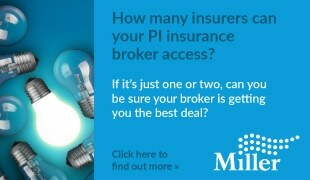 The comprehensive search package which will be provided to the public by conveyancing lawyers thorough the UK, includes the three key regulated searches for, Local Authority, drainage & water and environmental and uniquely is backed up by a free residential abortive transaction insurance policy underwritten by DAS, Europe’s leading legal expenses insurer. The package which is the first of its kind to be seen in the UK, offers clients cover of up to £1,500 for failed property transactions. “It is estimated around a third of residential property transactions fail to complete,” explains Ronnie Park, managing director, OneSearch Direct. “If the property market heats up again, we may see the return of ‘gazumping’ and this could exacerbate the problem. In addition, often it is the local authority searches which can hold up exchange at the last minute resulting in stressful and expensive experiences for clients. The Assured policy is free if the local, drainage, water and environmental reports are purchased through One Search Direct. The residential abortive transaction insurance covers all legal expenses up to £1,500 and includes: conveyancing fees, mortgage arrangement fees, lender fees, valuation report, survey fees, legal fees and disbursements. The product has been approved by Legal Eye, the leading legal compliance specialist.